Toyfinity's ROBO FORCE, STAR TEAM and ZEROIDS! What an interesting time to be a Glyos fan! A brand-new forum and a fresh start for the Glyos community to interact. Robo Force was originally released by the Ideal Toy Corporation in 1984, as planned competitor to Masters of the Universe and Gi Joe. Unfortunately, a more incredible robotic line centered around the concept of transformation was released the same year, and even though Robo Force had solid sales throughout 1984, it was discontinued in 1985 when CBS decided to sell off their holdings in the Ideal Toy Corporation. 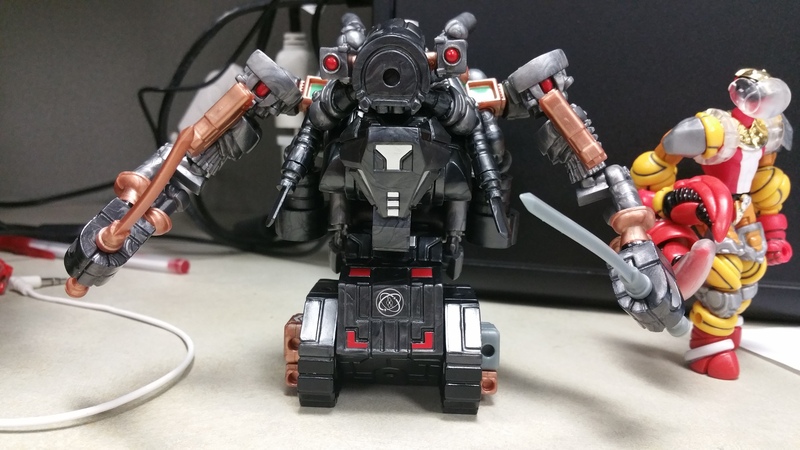 In 2012, I was planning my own original concept Glyos-compatible line when something unbelievable happened - a prototype for an unreleased Robo Force figure, Tiltor the Changer, showed up on eBay. I missed out on the auction, and combed the internet looking for answers as to where the prototype may have come from. And through the preservation efforts of a site called toymemories.com, I found the schematic drawings for Tiltor's head. This led me to the rights holder of most of the original Ideal created intellectual properties. After a year of negotiation, a deal was finalized and the announcement that Mordles would return was made at New York Comic Con 2012. At that time, five properties were acquired by Toyfinity - Zeroids, Star Team, Robo Force, Manglors, and Rocks and Bugs and Things. - a reproduction set of the ten original MORDLES, first sold to the public in June of 2013. - a brand-new Glyos-compatible kit for Robo Force, allowing you to build Maxx Zero, Hun-Dred, Sentinel, Enemy, or any robotic creation you choose! - BIG MORDLE, a vinyl version of the main "Zerak" Mordle species. with a fourth product scheduled to debut late in 2015. Another Toyfinity initiative is comics. So far, we have had the ongoing MORDLES comic, drawn by James Groman of MADBALLS and BARNYARD COMMANDOS fame. ROBO FORCE, drawn by Jerzy Drozd, artist on the Warren Commission Report: A Graphic Investigation into the Kennedy Assassination Graphic Novel. A number of pin-ups of the ZEROIDS and KNIGHT OF DARKNESS by Robby Musso, artist of THE TRANSFORMERS. And some MANGLORS artwork, by Tim Baron. Much more is in the works! The future is incredibly bright for these once dormant properties. And if there is one thing you can be sure of, it is that #darknesswillfall. Potent Media presents THE SUGAR SKULL GIRLS in 2015! Toyfinity - owners of ZEROIDS, STAR TEAM, ROBO FORCE, MANGLORS, and MORDLES! It's always fun to see what you're cooking up next. Sadly I had to hold out for Cruel and all that other goodness as some pesky lifestuff decided to intervene. That said, I am happy that you popped out a new jumbo Mordle. The timing was great for me on that, and I can't wait for him to arrive. I just dig the Mordles to bits, and discovered them a little late in the game so I figured I missed out completely on the bigger ones. What can I say, I'm a sucker for little monsters with lots of teeth. I was really looking forward to the new Cruel but I will admit, I was really looking forward to purple and pink Robo Force and Weaponeers sets. He still looks great and is a great homage to the original character! So assuming the non-preorder RF release later this month is not the long-awaited-by-everyone-in-the-world-for-sure Seizer the Grappler, what else might it be? I'm assuming one of the more subdued, single-color releases, and so it'll probably be an existing character in a "mission-specific" deco - hopefully not Maxx! Nothing against Maxx but we have enough Maxxes. Might we finally see a clear RF kit? Neo Voss Hun-Dred? Mordeireus Enemy? How cool would Grey Galaxy Battlestar be? Kent has finally figured out a Rock Hunter mode for the RF kit and they're coming in Manglors colors for a total tie-in! Now all those sneaky Mordles ending up in your orders make perfect sense!! Any news on the upcoming Robo Force drop? mechanicoid wrote: Any news on the upcoming Robo Force drop? Yeah, I feel like we've been in the dark for quite a while now. Well fortunately the kit has been released via the Glyos drops a few times, but I'm ready to get excited about a formal Robo Force drop. I'd still like to see a ZED or SFV drop for Robo Force happen. But truth be told I'm happy with every new RoboForce release I can add to my Fortress of Steel! You can make a pretty decent classic S.O.T.A. 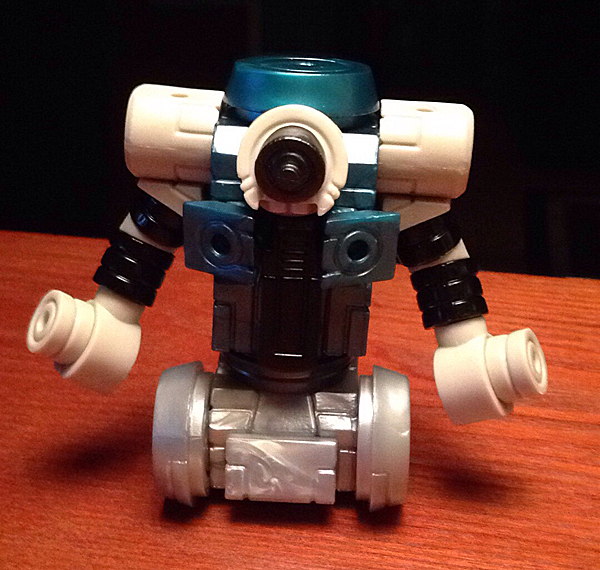 using the parts from the unpainted ultimate Maxx kit and the metallic teal kit Onell released in September. Here's my first attempt. It's hard to replicate the crosshairs thing on top of his head, so instead I decided to go with a more multi-function tool (scanning, radar, infrared, targeting, etc.) on his forehead. I'm still not 100% happy with it, yet. I also wanted to go with a different base for him, so I decided he was going to be the first Robo Force character to use wheels. I used a claw hand piece in the back as a 3rd wheel to help him stand. As far as a top want for me, I'd really love to see a green kit released soon so we can make Ripper. He's the only character I have left to make. Green's at the top of my wishlist too, although I'd more want an olive green similar to the 'Zilla Mushi. The Robo Force kit in that military-esque coloring would be beyond fun to build with. 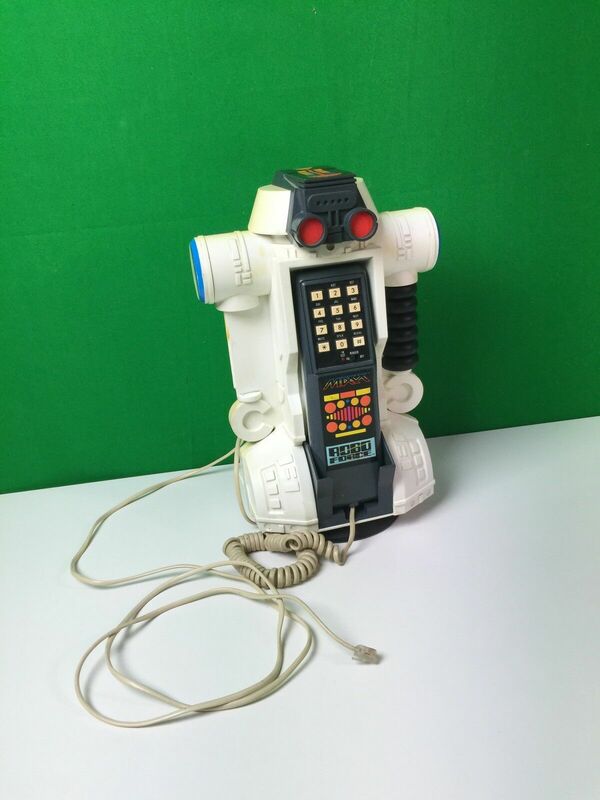 I just found a neat piece of Vintage Robo Force on Ebay. Was about to buy it and use it as my house phone, until further research uncovered it uses pulse dialing (the phones that go "Bup bup bup!" every time you dial a number) and isn't compatible with my phone service. Is there going to be a Robo Force drop in October? The month isn't over yet, but we're getting close. Jaybird wrote: Is there going to be a Robo Force drop in October? The month isn't over yet, but we're getting close. Yeah, I thought Dr. Kent said something about a basic drop soon. Can't remember where I saw that. "The next product will be up for sale next month. It's a very straightforward offering...and it's not a pre-order! Start speculating now." Yup. That was in September...only a few days left in October. I'm not holding John to a release this month. I know things change. I was just wondering...and looking forward to it. If it's November or December, I still want another Toyfinity/non-Onell Roboforce drop. New character or not, I've been missing the surprise and anticipation form Toyfinity announcements and want a release that pushes the Robo Force story line again. mechanicoid wrote: If it's November or December, I still want another Toyfinity/non-Onell Roboforce drop. New character or not, I've been missing the surprise and anticipation form Toyfinity announcements and want a release that pushes the Robo Force story line again. my next release got pushed around a bit - I don't like going close to someone else's release (hopefully a week between! ), so it will be in November now. Good news is the Cruel samples are in, so we'll hopefully have them for end of Nov/early Dec! Thanks for the update. Can't wait to see what you have in store for us! That's great news on both accounts! I can't wait to find out what's next and to see how Cruel and Brutal turn out.